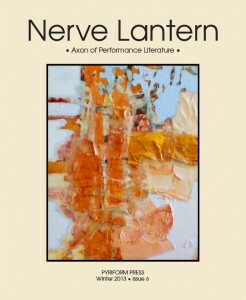 Announcing the release of Nerve Lantern issue 6! Nerve Lantern issue 6 is now available to order! Pyriform Press is, for all intents and purposes, a not-for-profit. All sales money for Nerve Lantern go to help cover the cost of its materials, printing, and postage. Thanks for your support! 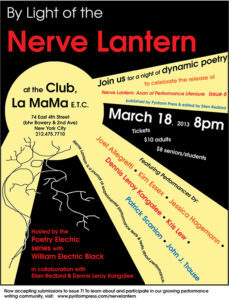 Many thanks to the contributors and volunteers for lighting up the stage with this revival issue of Nerve Lantern!